From the Atacama Desert to the Rocky Mountains, from the dunes of Dubai to the open plains of Australia, the Toyota FJ Land Cruiser stands alone as the most reliable, long-lasting, and nearly unbreakable vehicle that gets you anywhere you need to be. 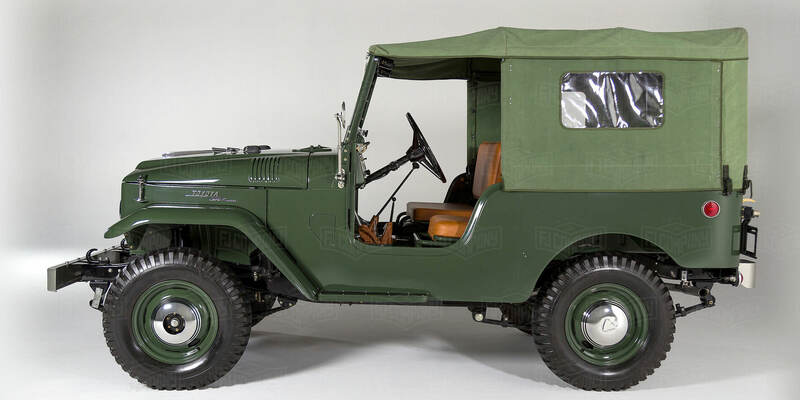 The BJ25 was Japan’s answer to the American Jeep and the British Land Rover. There’s really no sugarcoating it: Toyota reverse-engineered the Jeep and perfected it within a decade. By the time the US started placing orders for the FJ to assist in the Korean War, the FJ had grown into the sturdy 4×4 we know and still love today. From 1955 through 1984, the FJ improved piece by piece, but still managed to maintain its now-iconic look and feel. 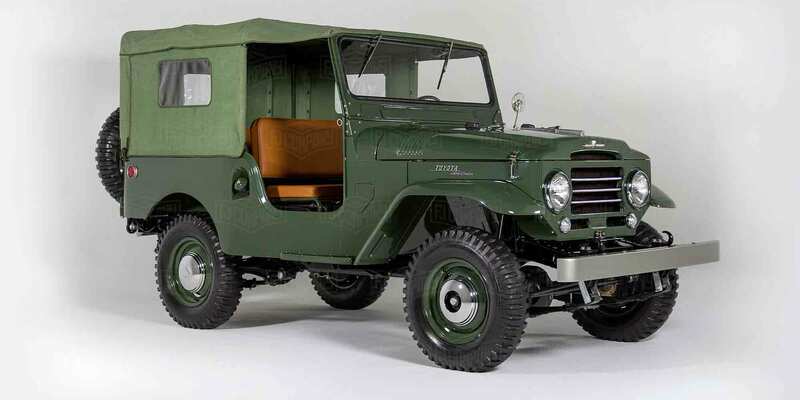 The Toyota FJ25 came around in the early 1950s, establishing Toyota as a global brand. It revolutionized the compact 4×4 market with its strong engine but relatively small chassis, a perfect combination for tackling the rough and tumble. Appropriately, the FJ Land Cruiser formed the backbone of the Toyota brand and became the emissary of Japanese engineering and much of the world’s first experience with Toyota. The FJ was decidedly a military vehicle at first–like the Jeep and Land Rover–but quickly spread worldwide as a fantastic method of transporting people or cargo in places that didn’t have well-maintained roads (or any at all!) for uses as varied as farming to ambulances to deserts to rock climbing. After making it up to the 6th station of Mt. 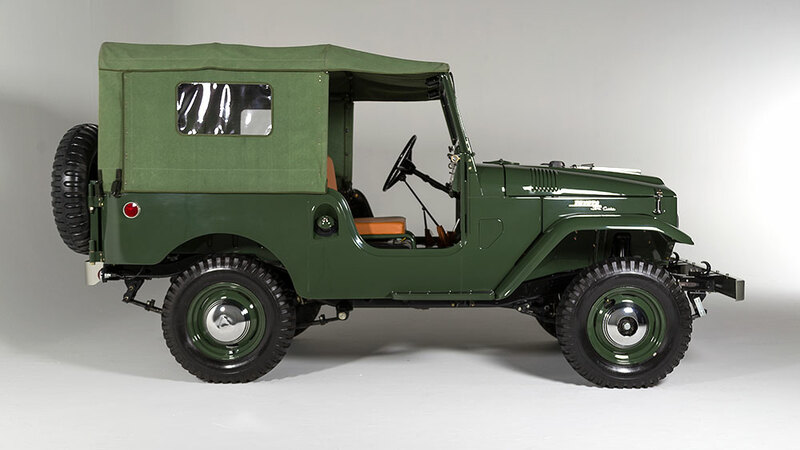 Fuji on a showcase run in 1951, the FJ captured the attention of not only groups like the Japanese Forest Service but also makers of Jeep. Successive FJ models morphed from the brusque military style to a more comfortable and functional ride with improvements like more room in the interior as well as softer springs. We get this question a lot! The “J” definitely stands for “Jeep” and the “F” indicates the engine type. This is why the early FJs were actually known as BJs–they had a Type B engine, not an F.
Toyota’s FJ series is positively famous for not breaking down–which is why you can still find authentic antique FJs all over the world in working condition (at the very least, you can find suitable samples for restoration). Since it’s used for so many purposes, it seems almost fitting that there are nearly countless configurations in the FJ Series from wheelbase height to the type of covering for the roof and more. The Japanese approach to engineering critically rests on the relentless pursuit of perfection. It’s not good enough to have the mentality of “If it ain’t broke, don’t fix it”; they would prefer that it never break at all. Why replace something when you can build it right the first time? Given that, it’s no surprise that the quality and durability of the FJ’s transmission and suspension is legendary. The leaf spring suspension is particularly worth mentioning: it’s absolutely suited for a heavy vehicle like the FJ, spreading the weight around more evenly, plus it actually alleviates the need for additional weight from extra parts that you would need with coil suspension. The electrical system tends to survive just about anything you throw at it. It’s truly unmatched in terms of reliability and superiority for cars of this era–especially when you consider the beating many FJs have endured over their lifetimes in conditions most vehicles can barely handle for a day of driving. There are two basic engines for the FJ series: the type F engine and the type 2F engine. There are numerous diesel configurations starting from 3.0L–4.0L. 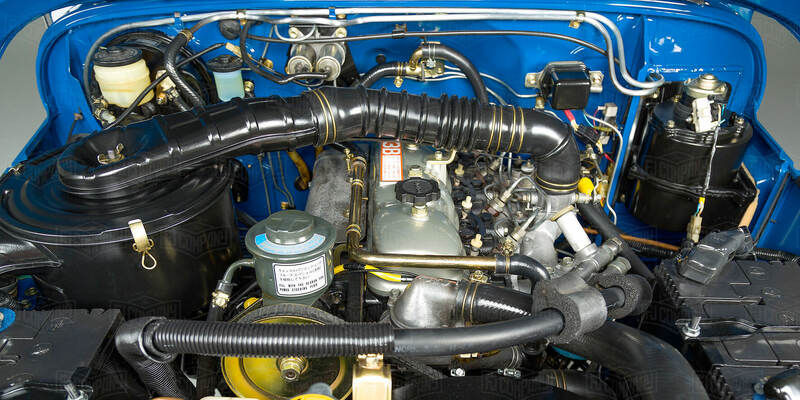 Diesel engines are available and usually come from regions where the predominant fuel is diesel. 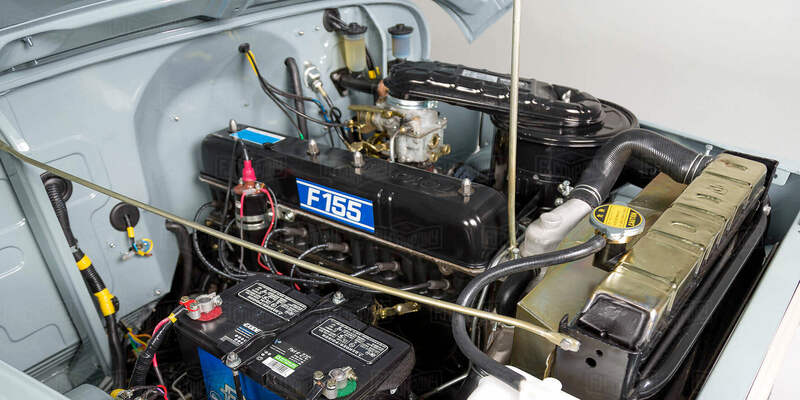 Used from 1955-1974, the Type F engine made the FJ famous: not the most efficient but virtually impossible to break! It was (and is) commonly known to run 500,000–600,000 miles without a problem. It was constructed as a 3.9 liter naturally aspirated, in-line six cylinder engine. 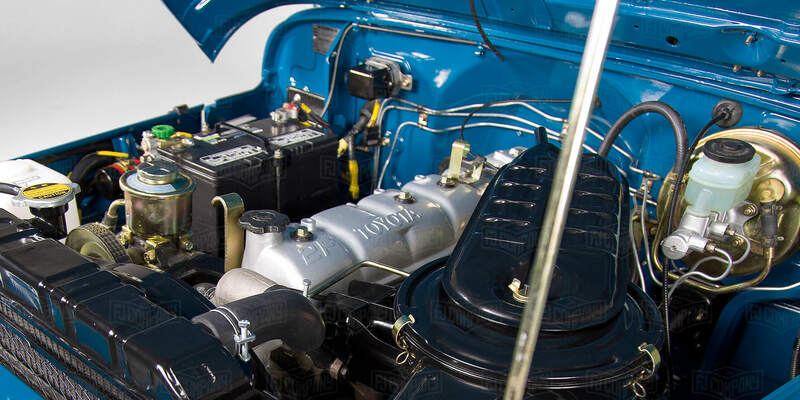 The F series of engines were deliberately engineered to be similar to GMC L6 OHV 235 engines but improved upon its inspiration to suit the FJ’s needs. Running from 1975–1988, The 2F improved on the F, increasing engine size to 4.2L. This engine is a little bit more efficient and powerful than the F engine, but it still has the same feel that FJ drivers love. The Type B engine was the predecessor of the Type F engine that is so beloved by FJ enthusiasts. Originally designed based on the Chevrolet 207 engine, Toyota made small adjustments to the American design to fit the BJ. On a side note: this Type B engine not only predates but is not at all the same as a later B engine produced by Toyota for the Japanese market only. The FJ20s were built from 1950–1960 and are now considered the formative years of the FJ brand. This model evolved into what we love today. The body is noticeably different from other FJs, a bit more on the skinny side as compared to the FJ40. FJ20s were always fitted with an F type engine. The FJ40 model made legends out of the FJ and the F engine. Its first production year was 1960, and it debuted with a short wheelbase version. The FJ40 was produced until 1984. One of the key features of the FJ40 is its folding jump seats behind the front two seats, making it easy to squeeze in more passengers or cargo. Though relatively sparse on creature comforts, the FJ40 nonetheless captured the attention of buyers the world over impressed by its reliability, sturdiness, and off-roading ability. The FJ40 comes either either a soft top or a hardtop. Nearly the same vehicle as the FJ40, the FJ43 introduced more ways to configure your FJ. It offered a longer wheelbase as well as more space in the trunk for either cargo or passengers. The FJ43 was produced until 1984. 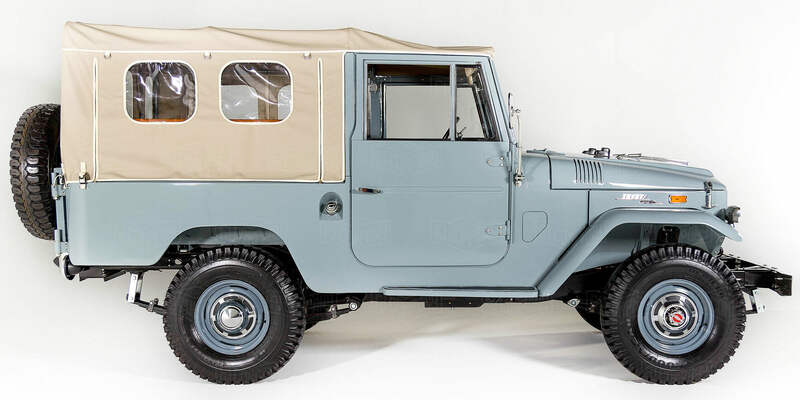 In recent years, the FJ43 has commanded a premium from collectors given its more limited availability in the US and other core markets. Two more versions of the FJ were introduced with this model: ambulance and pickup truck. Ever seen a UN ambulance from yesteryear? That was probably an FJ45 or an FJ45LV! The long covered cabin paired with FJ’s reliability made this a natural choice. This model also introduced removable hardtops as an option with its pickup configurations. A shortbed pickup version was also available and is now very rare to find. 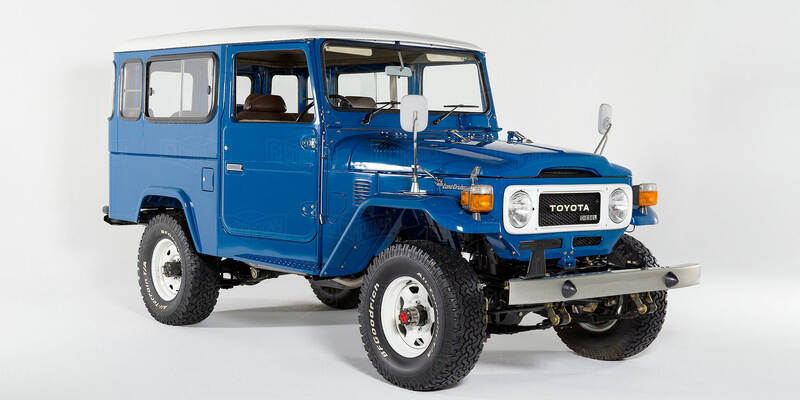 The FJ45 was produced until 1984 when it was replaced by the FJ70 series. Unrelated to the initial BJ prototype, the BJ40’s series debuted with a diesel B type engine and a medium wheelbase. This series was created primarily for the Japanese market due to the high cost of gasoline (over diesel). Distinguishing features include a medium wheelbase (in fact, the BJs were the only option for medium wheelbase in the Land Cruiser line for years), a softtop (the only exceptions are hardtop, or V options on the BJ41V and BJ44V), and the first instance of the rear seat facing forward. This FJ came out 1984 to replace the beloved FJ40. It was never exported to the US and isn’t very well-known in markets inside North America and Europe. A very worthy replacement, its wheelbase height runs from short to medium to long and offers both two- and four-door models. If a vintage FJ is what you’re after, this reboot from the 2000s won’t cut it. While Toyota improved this model in terms of overall comfort and maintained technical excellence, the look and feel is distinctly different from its predecessor FJ series and is generally not considered in the same class. It’s far more driveable for the everyday person who lives with flat, paved roads (as compared to the vintage FJs) but lacks the vibe of older FJ models. Hi Tom, Definitely no aluminum being used in any of our builds. We use factory sheet metal at all costs and use incredibly good quality steel reproduction panels whenever rust is an issue. Whay no indepth look into the fj70 series. Which are now starting to have a cult like following around the world. Hi Stephen, good point. We have 2 FJ70's in the works right now, and we'll update the information about it soon at https://www.fj.co/ourwork/70series! Hi Luke - it's a matter of preference for our clients - they can come in both hard top or soft top. There are examples of both in our Featured Builds section! I love my 2007 FJ Cruiser and do not ever want to sell or part with it. i love the car , like the car, kiss the car, fantastic model.